Art and culture dominate not only the interior of the hotel, but also the immediate surroundings: The Sans Souci Wien is located in the center of museums, theaters, as well as numerous boutiques Viennese designers. Behind Interiordesign Hotels is the innovative design collective YOO by Philippe Starck. The 63 individually designed rooms and suites create an atmosphere of unobtrusive luxury. This characteristic Sans Souci charm can also be felt in the Hauben restaurant "Veranda", in the hotel's own "Le Bar" champagne bar, in the "Le Salon" and in the spacious spa. 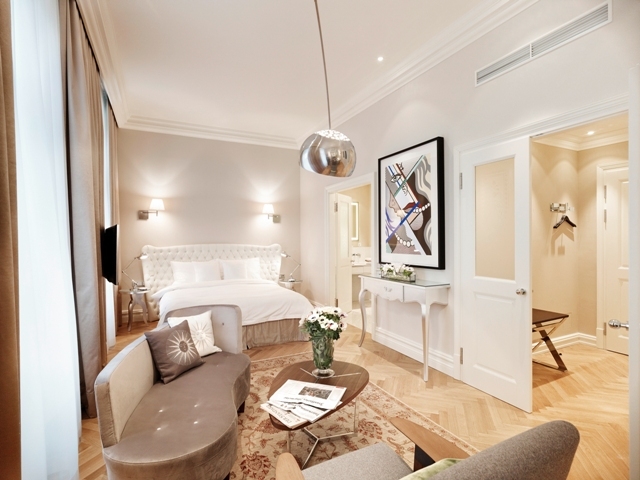 For 3 years now, the Hotel Sans Souci has been the undisputed number 1 of all hotels in Vienna according to the rating platform "Tripadvisor". The perfect retreat in the middle of the city!